Luigi Carroccia was born into a musical family and his first piano teachers were his father and grandfather. His studies continued at the Claudio Monteverdi Conservatory in Bolzano, where he earned his Bachelor’s and Master’s Degrees with honors and at the Royal Birmingham Conservatoire where he attended a Psp in Piano.During these years Luigi has been appreciated for his sensitivity and unique personality, and has won prizes in many competitions, such as the Maria Herrero International Competition in Granada, the National Piano Competition “Città di Magliano Sabina”, “Giulio Rospigiosi”,”Città di Albenga”, “Città di Oleggio”, “Città di Filadelfia”, and the Premio Abbado, organized by the Italian Ministry of Culture in memory of Claudio Abbado. 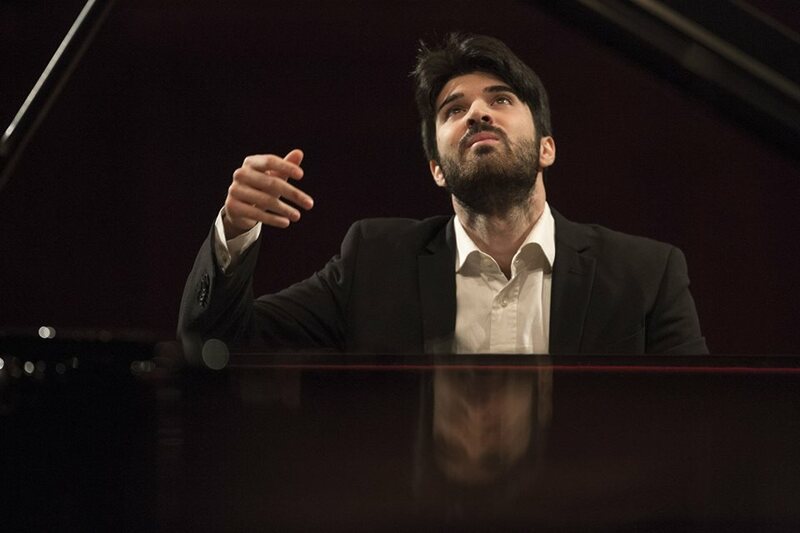 He distinguished himself at the Ferruccio Busoni International Piano Competition 2015, the 17° International Fryderyk Chopin Competition in Warsaw, and the 15th Van Cliburn International Piano Competition in Fort Worth. Luigi was invited to record a program entirely dedicated to F. Chopin’s music for Radio Classica and he was awarded a medal for his performances of works by A. Scriabin during the “IV Mejdunaroden Festival” in Kjustendil, Bulgaria. He has regularly performed in Italy, Poland, Turkey, United States, England, Bulgaria, Germany and Japan. Since September 2018, Luigi has been an artist in residence of the Queen Elisabeth Music Chapel, under the guidance of Louis Lortie.